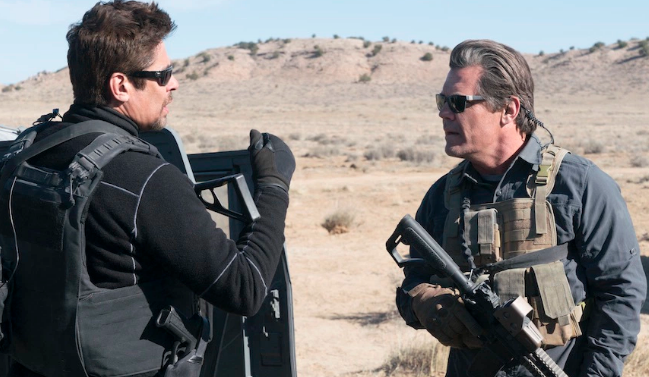 Sicario: Day of the Soldado Review | An underwhelming follow-up. 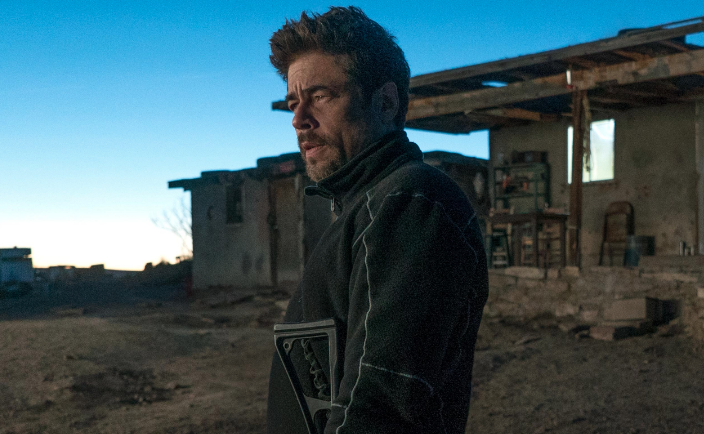 "Sicario: Day of the Soldado goes through the motions well, but there’s still a sense that they are motions." "It actually feels as though Sheridan made a conscious attempt to soften the harder edges of the first film..."
Didn’t Sicario 2 get the memo from Hollywood? You’re supposed to add significant female characters to your franchise, not subtract them. By writing out the most interesting character from the original Sicario, Emily Blunt’s Kate Macer, returning screenwriter Taylor Sheridan has given us a less interesting product with all the “feel of a Sicario film,” but little of the nuance. 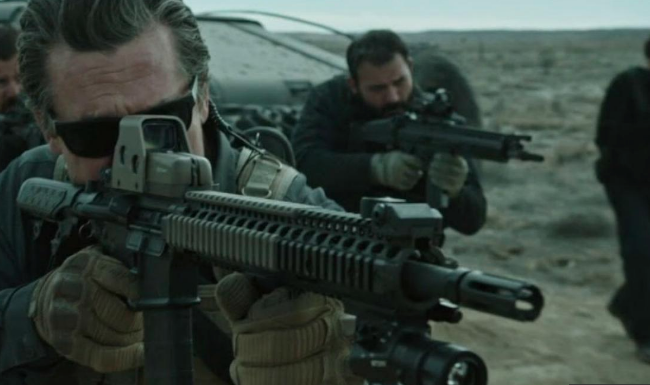 Sicario: Day of the Soldado goes through the motions well, but there’s still a sense that they are motions. In a manner of speaking, Day of the Soldado actually does increase the female character count from the original, though they are not of the gun-toting or bullet-proof vest-wearing variety. Isabela Moner plays Isabela Reyes, the daughter of a big cartel boss whom the returning Sicario characters, Matt Graver (Josh Brolin) and Alejandro Gillick (Benicio Del Toro), kidnap as a means of starting a war between cartels. The theory is that warring cartels will be easier for the U.S. government to undermine, especially as those cartels have just been labelled terrorist organizations for their role in smuggling Islamic terrorists into the country. The other new female character is Cynthia Foards (Catherine Keener), Graver’s shadowy defence department contact who tells him what he can and can’t do in terms of conflagrating tensions. Given that she plays, figuratively, “The Man,” and is otherwise pretty undeveloped, she hardly counts in the realm of gender progressiveness. Still, getting caught up on gender issues is making a general matter out of a specific problem: This film really misses Emily Blunt. As an agent who was conscripted from the outside into the fight against the cartels, Kate Macer functioned as our viewer surrogate in the first movie. When her eyes widened over the horrors she witnessed, so did ours. It helped that this world had not been showed to us before, or at least not as well as director Denis Villeneuve and cinematographer Roger Deakins were capable of showing it. (We should pause to note that director Stefano Sollima and DP Dairusz Wolski had big shoes to fill, and in most respects have done so admirably.) The horrors really felt horrific, and we experienced them in tandem with this tough but vulnerable character. They were the type of horrors that showed a tough person how vulnerable she truly is. We don’t have a viewer surrogate this time. Graver and Gillick are stoic pros, who almost seem to take a perverse delight in the ways they are forced to push the envelope. They’ve got legitimate motivations, sure – Gillick’s whole family was killed prior to the events of the first movie – but they almost relish using the wrong methods to get the right outcome. Isabela is seeing sides of this she hadn’t seen before, as her father has done his best to shield her from his business, but her indoctrination into the realities of the drug trade also falls a bit flat. Then there is the story of another teen, played by Elijah Rodriguez, who is slouching into the human trafficking business by associating with the wrong people. We don’t get much of an experience of his interiority, though. As you would expect it might, the sequel tries to double down on the horrors that were so central to the impact of Sicario. But this doubling down is mostly superficial. In the opening, there are two bombings instead of the one that kicked off the first movie; or actually four, if you count the fact that the second bombing includes three successive detonations. But diffusing this to two incidents also seems to diffuse the impact, and these episodes, especially functioning as a prologue before we’ve been introduced to the characters, feel a bit empty. It’s a good example of the problem this movie has generally speaking, which is that the down-and-dirty aspects of the war against the cartels don’t get under our skin the way they did the first time. Another example is the score by Hildur Guonadottir, who worked with composer Johann Johannsson on the mouldering score for the original, and continues those themes and sonic bleakness. (The film is, in fact, dedicated to Johannsson, who died five months ago.) The music is like scraping thunder, and it exudes ominousness. Most of the time it is employed, though, the thing that’s actually going on on screen can’t match the intended mood. It actually feels as though Sheridan made a conscious attempt to soften the harder edges of the first film, in terms of the morality of the characters that are supposed to function as our heroes. Alejandro Gillick in particular did things in the first film that would seem inexcusable through any lens. He has a superficial thing or two like that in this film, but the choices he makes seem more about redeeming past behaviours than continuing in the spirit of the character we first met. Day of the Soldado, therefore, feels more like a study of conventional morality than a disquieting contemplation of its inadequacy.